Let Fox create your website, invitation, flier, mascot character, logo, illustration, layout or other design project - enjoy professional quality and personal service at affordable rates. 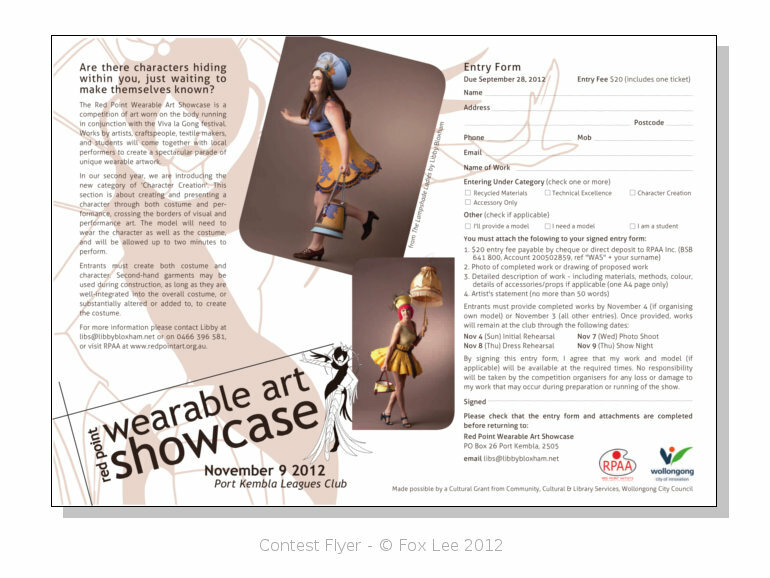 Fox Lee is an artist and designer local to the Illawarra region of NSW, Australia. The daughter of local artist Libby Bloxham, Fox has been working with artistic media all her life, and with computers for over 15 years. Her design experience ranges from personal websites to brochures for charity groups, logo design to character illustration, with clients including Illawarra Amnesty International, Bubbles for Breast Cancer, and the Illawarra South Sydney Supporters' Group. If it's worth doing, it's worth doing right. Fox prides herself on taking a professional approach to her work - whether it's for an individual, a business, or a charity - while still offering the personal service you should expect from an individual designer. Speak directly to the artist and be sure you get what you want, with nothing "lost in translation".